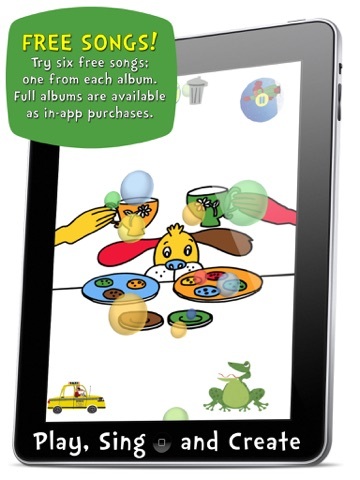 Music and Apps for Children Do Not Have to Drive Parents CRAZY! Says Jon Stewart: "You will listen to David's music, even when your kids are not around. And unlike some other children's selections, it will not make you angry." 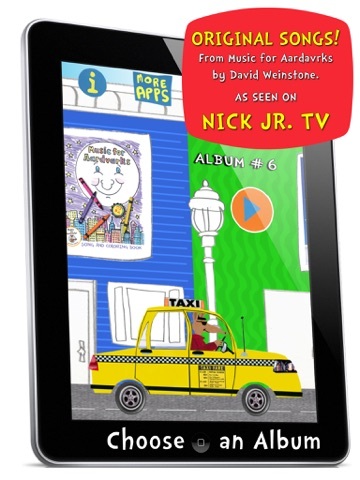 Based on David Weinstone's music, as seen and played for years on Nick Jr. TV, this Rockin’ Coloring Jukebox utilizes a whole new way to create colorful masterpieces inspired by some of the most inventive and original songs ever written for children! Hundreds of thousands of albums sold, countless families who have taken the Music for Aardvarks classes and attended shows all over the country and millions of YouTube views tell the story. 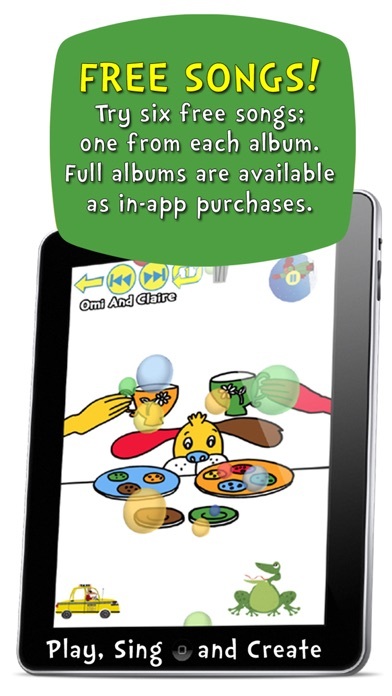 Like most Music for Aardvarks songs, our app takes the child's point of view. 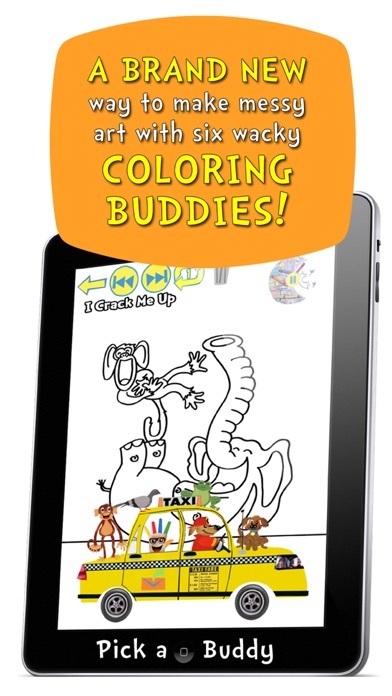 Say bye-bye to markers, crayons buckets and brushes, and hello to playful interactive coloring buddies that color like children do. Meet the fruit throwing monkey, the color pooping pigeon, the mud-splashing dog and others... There is no coloring App like it! 2)	Six free original songs with coloring pages - one from each album. 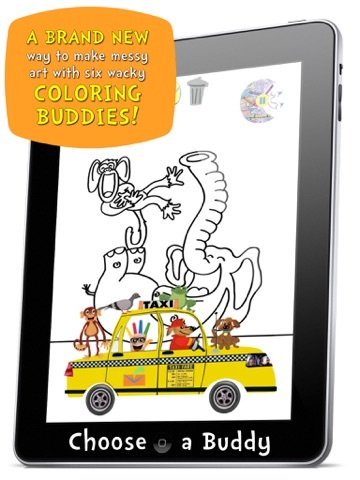 3)	Make playful messy art with six silly animated coloring buddies. 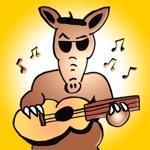 Six of the twelve full albums of the Aardvarks series are available as in-app purchases for only $2.99 each! Six more full albums to be released soon! Choose songs to play and color. “REPEAT 1” or “PLAY ALL” or use the “JUST PLAY ALBUM” feature for when you want to just listen. Any album purchase unlocks the full version of the beloved Taxi song for unlimited listening. The App works on iPads, iPhones, and iPods with iOS versions 6.0 and later. From very humble beginnings Music for Aardvarks has blossomed over the years into many things: Currently, it is 16 original albums, with over 250 songs and counting. 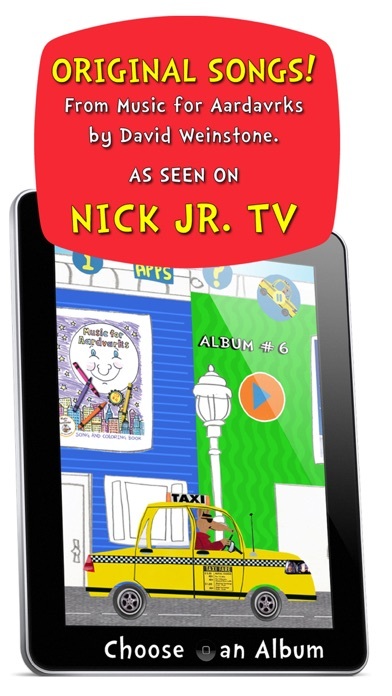 It’s music videos that were airing daily on Nick Jr. TV. It’s live performances by the Music for Aardvarks Band, It's group music classes for babies, toddlers and preschoolers. And it’sbar none, the most imaginative and original interactive music for children out there! 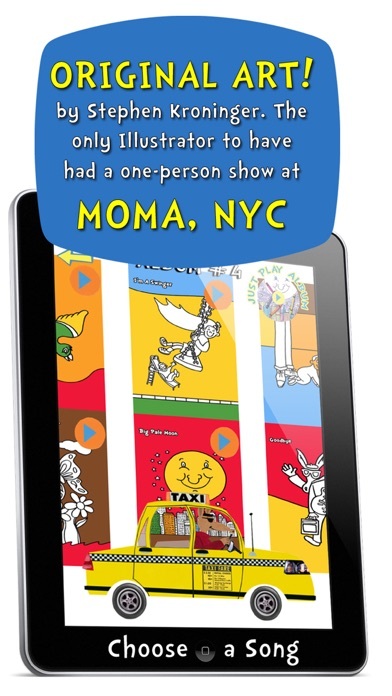 The coloring pages for each song as well as the icons and character in the App were created by Stephen Kroninger. Stephen Kroninger's photo collages have graced the cover of Time Magazine, been the subject of a one-person show at the Museum of Modern Art, and have been credited with sowing the seeds of the collage renaissance. Kroninger's editorial illustrations appear in nearly every major publication from coast to coast. He is a regular contributor to Time, Newsweek, The New Yorker and the New York Times and has also been published in a wide range of publications across Latin America, Europe and Asia. Kroninger is also the writer/illustrator of three award-winning children's books for the Anne Schwartz imprint of Atheneum Books. His animation projects include a short film produced for Nickelodeon, which was selected for the Annecy International Animated Film Festival. Another, for HBO's Chris Rock show, was featured in the highly acclaimed Spike and Mike's Twisted Festival of Animation. 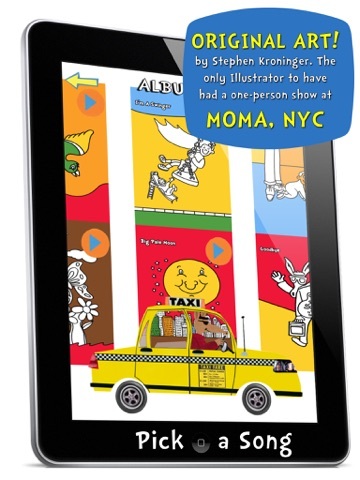 Kroninger also created a digital animation for The Beat Generation, an exhibit at the Whitney Museum. FINALLY a kids music App that ROCKS!